The Curtain playhouse, located in Shoreditch, London, is a venue where Shakespeare’s plays were performed and he, himself, acted. Henry V premiered here, and Shakespeare acted in Ben Jonson’s Every Man and His Humour. Thus, the excavation for The Stage is important not only to our national heritage, but to our global understanding of one of literature’s greatest contributors. 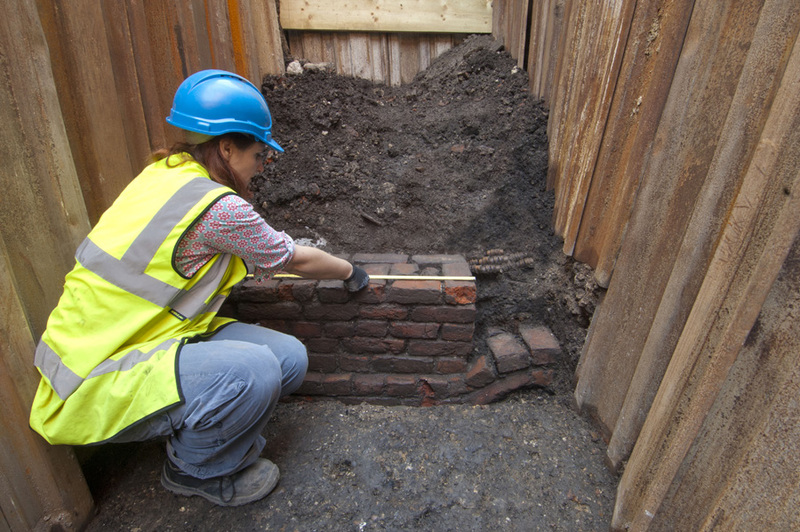 In this blog, archaeologists Heather Knight, Kate Faccia, and Sarah Trehy explore how the excavation of Shakespeare's Rose playhouse shook up the world of archaeology and how it compares to the excavation of the Curtain playhouse. 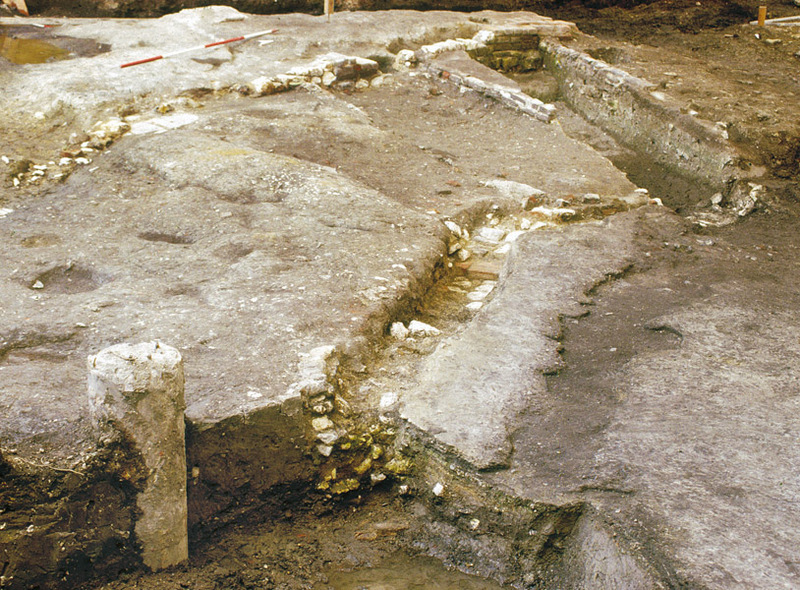 The Rose was excavated in 1989 in Southwark by our predecessor, the Department of Greater London Archaeology. The playhouse, built in 1587, hosted performances of plays written by, amongst others, Shakespeare and Marlowe, and, more specifically, Henry VI and Titus Andronicus. It is considered a site of national and global significance, but its fate remained uncertain at the time of excavation. When The Rose was excavated, the very real prospect existed that, after being recorded, the remains of the playhouse would be destroyed. This led actors and members of the public to form the “Save the Rose” campaign, which became a national and international news story. Eventually, this and other controversial sites led those in Government to ask the question ’how has this situation been allowed to occur?’ resulting in the introduction of Planning Policy Guidance 16 (PPG16) in November 1990 that brought archaeology into the planning process for the first time. PPG16 has since been superseded by the National Planning Policy Framework in 2012, which continues to place a strong emphasis on the need to protect our historic environment. What a difference 27 years makes! Here we are in 2016, excavating the site of the Curtain, another Shakespearean playhouse, and the situation could not be more different. The system that we have today allows developers, local authorities and archaeologists a chance to celebrate the cultural and historical importance of sites like The Stage. Very early in the process, we were commissioned to carry out a desk-based assessment, which included research of the site to determine its archaeological significance, as well as initial targeted trial excavations, which allowed us to test the level, nature, and extent of archaeological remains. The archaeology has since been incorporated within the new scheme and is central, both physically and conceptually, to the new development. One day The Curtain playhouse remains will be housed in a purpose-built visitor centre at the heart of The Stage development, accessible for future generations to enjoy. As the dig progresses the developers have supported a range of initiatives to share the exciting dig and findings with the public, from a programme of events for Shakespeare400 to tours with schools, academics and local groups. We’ll be keeping you up to date with all the action from the dig as we start to reveal the remains of the Curtain playhouse so keep an eye on the MOLA blog or follow our updates on Twitter and Facebook. 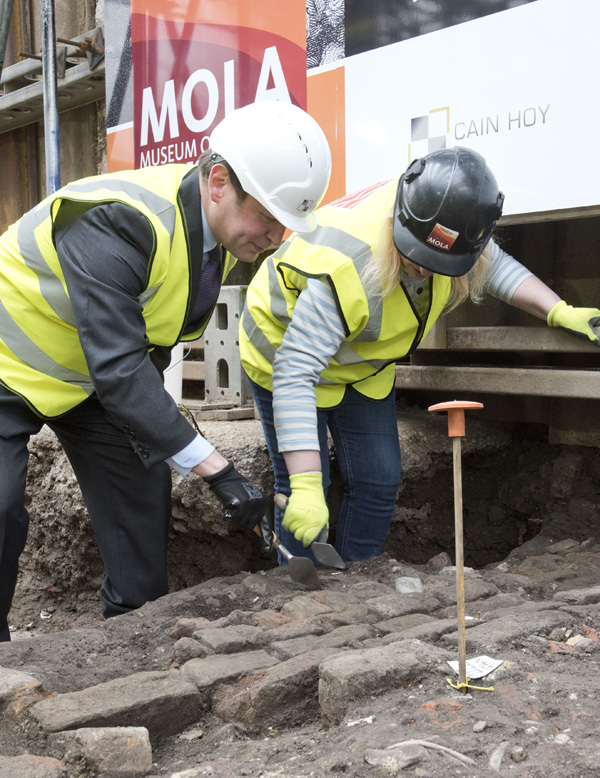 Today our archaeologists broke ground at the site of the Curtain Theatre with a special visit from Ed Vaizey MP, the Minister for Culture.